IDP was first launched in 2011 and has now published more than 350 historic essays containing more than 1,000 antique pictures taken between the 1850s and 1946. We present samples of the photos on this page. The pictures were digitalized and posted to websites in recent years by the U.S. Library of Congress, New York Public Library, Emory University, Harvard, the University of Dundee Medical Archives, and others. In recent months, private individuals have also shared with IDP their private albums and family collections. Jewish Temple in 70 CE, and here is visual proof." 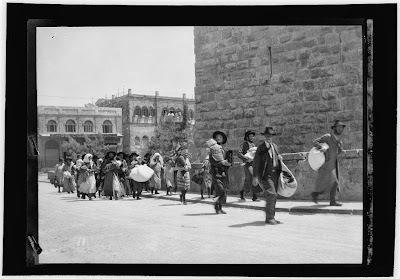 "Most of the photos were taken by the American Colony photographers who began their work in the late 19th century. 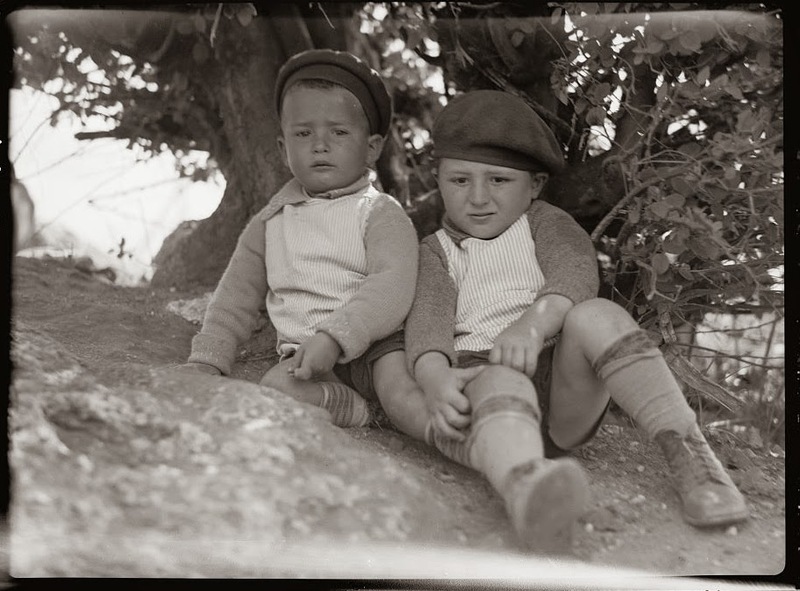 Among their goals was to seek out and photograph Jews in Jerusalem and in the countryside," Ben-David explained. "The return of Jews to Palestine was seen by the Christian photographers in messianic terms. A recent exhibition and book by today's American Colony Hotel proprietors, however, virtually ignored the Jewish presence in historic Palestine." 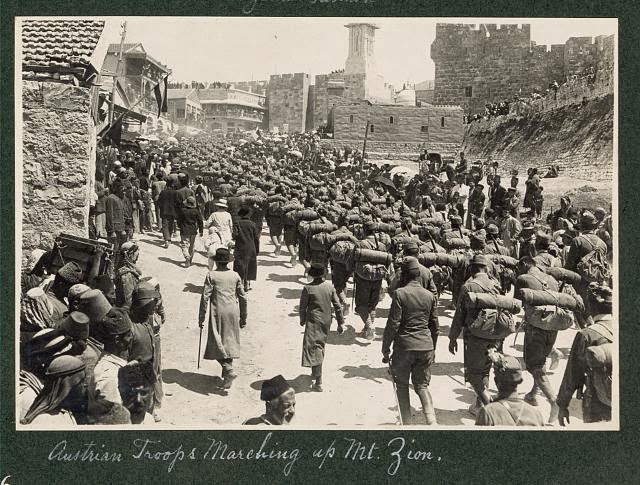 War I and its clashes in Gaza, Be'er Sheva, Rishon LeZion, Jerusalem, and the Dead Sea; the establishment of Jewish communities in the Galilee; the arrival of the German Emperor in 1898; the role of the Jewish Legion in 1917; the development of industries and infrastructures by the Jewish population; Jewish holidays; Jewish children of the Old and New Yishuv; Jewish life in Jerusalem's Old City, and many more. 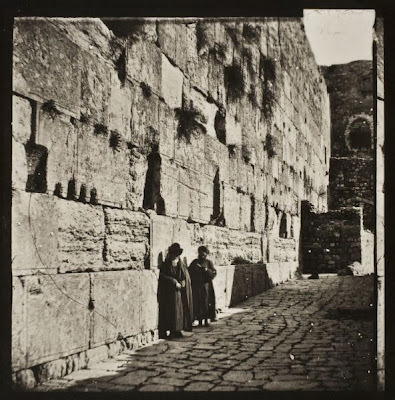 The photographers also chronicled the lives and shrines of Arab and Christians. IDP pictures are all published with permission of the collection owners. To subscribe, enter your email (free) on the website Israeli Daily Picture. Voluntary contributions are welcome via PayPal.